Edwin Koo is a photographer represented by French photo agency Cosmos, and Swiss agency Keystone. Edwin Koo was born in Singapore in 1978. He graduated First Class Honours from Nanyang Technological University School of Communication Studies, specialising in journalism. An accidental photographer, he was first introduced to photojournalism in university by his mentor Shyam Tekwani. 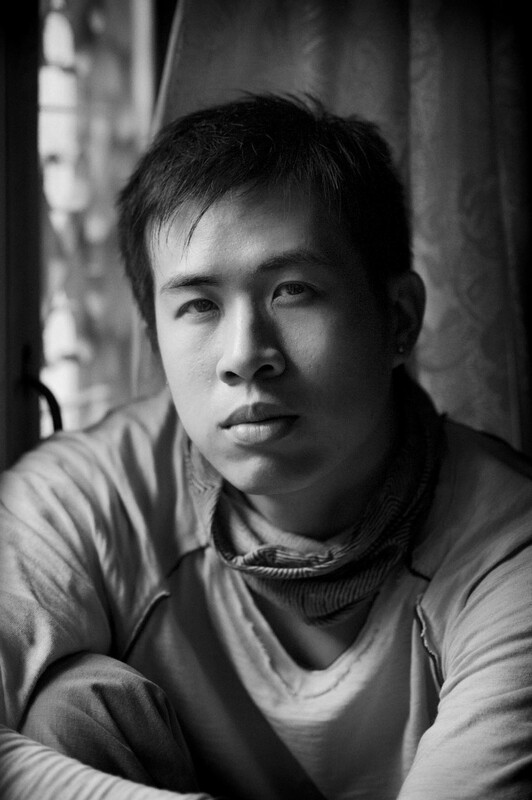 Under his tutelage, he co-authored a photo book documenting the railway of Thailand as his final year varsity project. The portfolio landed him a job as a staff photographer in a free daily tabloid in Singapore in 2003. Two years later, he joined the national broadsheet The Straits Times. In 2008, after five years as a news photographer, he left the newsroom and decided to move to Nepal with his newly-wedded wife. In 2011, Koo returned to Singapore with the birth of his son. His first personal project in Singapore – dedicated to his son – was to document the historic 2011 General Election. Eventually, it culminated in his first solo exhibition – “Notes from a Singapore Son” – a body of work reflecting a tsunami of change in Singapore’s political landscape. Koo’s work has been recognised internationally. In 2009, he was awarded The Getty Images Grant for Editorial Photography. Earlier that year, his work on Pakistan also won a third placing in the UNICEF Photo of the Year. Internationally, his works has also been exhibited at Breda Photo Festival (Netherlands, 2012); Visa Pour L’Image (France, 2012), Dali International Photo Exhibition (China, 2012), the Angkor Photo Festival (Cambodia, 2011), Photo Quai festival (France, 2011), and the Lumix Festival for Young Photojournalists (Germany, 2009). Koo’s work has also been published in international titles such as GEO, International Herald Tribune, The New York Times and Le Monde. He is currently represented by French photo agency Cosmos and Swiss agency Keystone.